Class Sizes are limited so register early to insure you have a spot! Classes will begin at top of the hour, up to three classes per night. Each Scout should bring a completed and signed Merit Badge Card from their Scoutmaster with them to class on the first day. 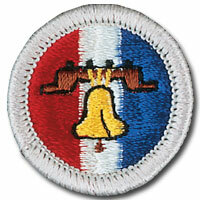 Merit Badges require more than mere attendance at the Class. Some requirements are time related and there isn't enough time from the first to the third class to complete, these need to be started before the classes begin. The Scout that only attends class, but doesn't participate and complete outside of class assignments will not complete the Merit Badge. We encourage all Scouts to bring a Notebook, writing instrument, the Merit Badge Book for the Badge they are taking with them to class every time. Additionally, some Merit Badge Counselors like the scouts to track their progress using a Merit Badge Wookbook. Click Here to find these workbooks. Some classes require models, and projects to be completed to pass off requirements. Costs for these are in addition to the fees for the class. We encourage all Scouts to wear their Scout Uniform when attending the Pow Wow.